Dani Moonstar, Karma and Wolfsbane - the former X-Men-in-training who helped define a generation - are back to pass their wisdom on to the next one! But how will the New Mutants react to Professor X's up-and-coming students, who think of them as "Old Mutants"? Find out as a new class debuts at the Xavier School - including Prodigy, Wallflower, Wither, Surge, Elixir, Wind Dancer and more! They may be the future of their species - if they can survive threats like the Reavers and the hate group Purity! As the latest squad comes into its own, the originals settle into new roles as mentors - but will Wolfsbane's desire to regain her powers cause her to cross a line? Plus: Legendary NEW MUTANTS creative team Chris Claremont and Bill Sienkiewicz return for an original class reunion! 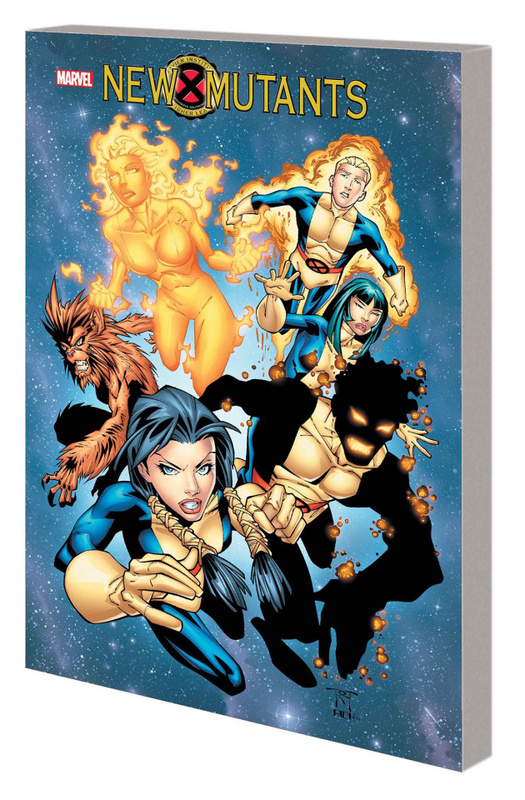 Collecting NEW MUTANTS (2003) #1-13 and material from X-MEN UNLIMITED (1993) #42-43.